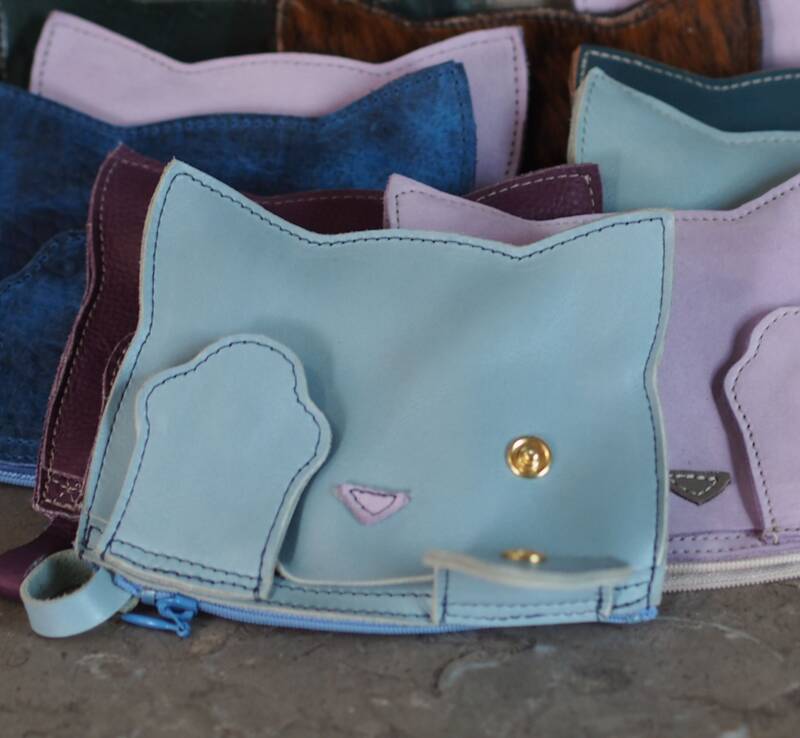 Peek-A-Boo Kitty Leather Pouch--Made to Order, Pick your Color! 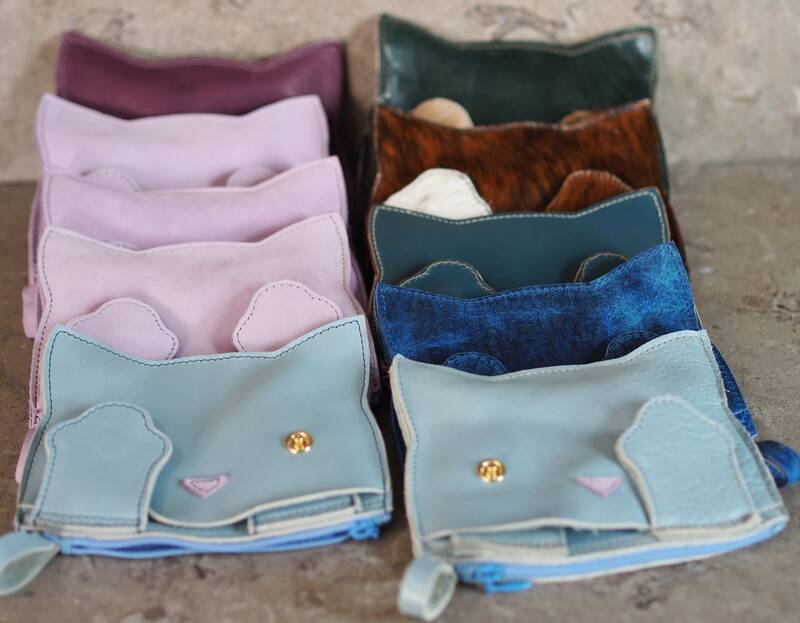 Peek-a-Boo Kitty Pouches for fun & colorful, but still useful coin/card cases! 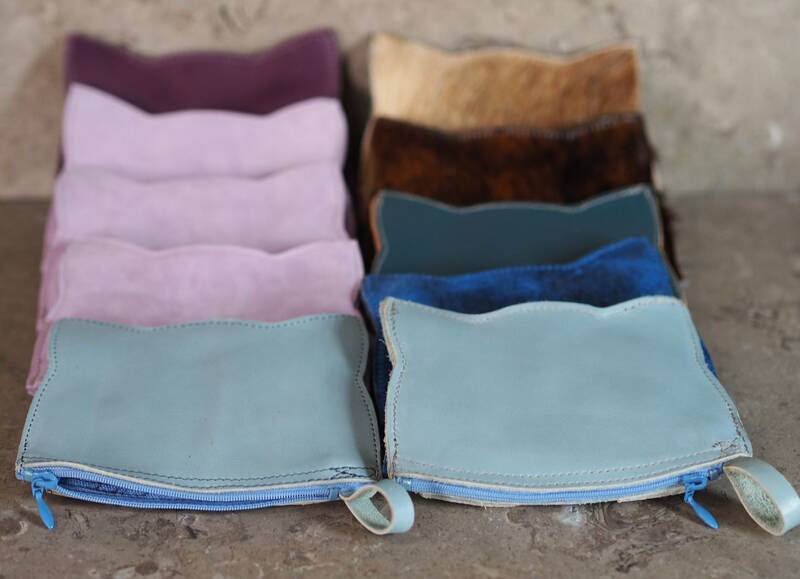 Each paw snaps closed over the snap "eyes" and secures items in the front section, and you can access the zippered section w/out undoing the snaps. 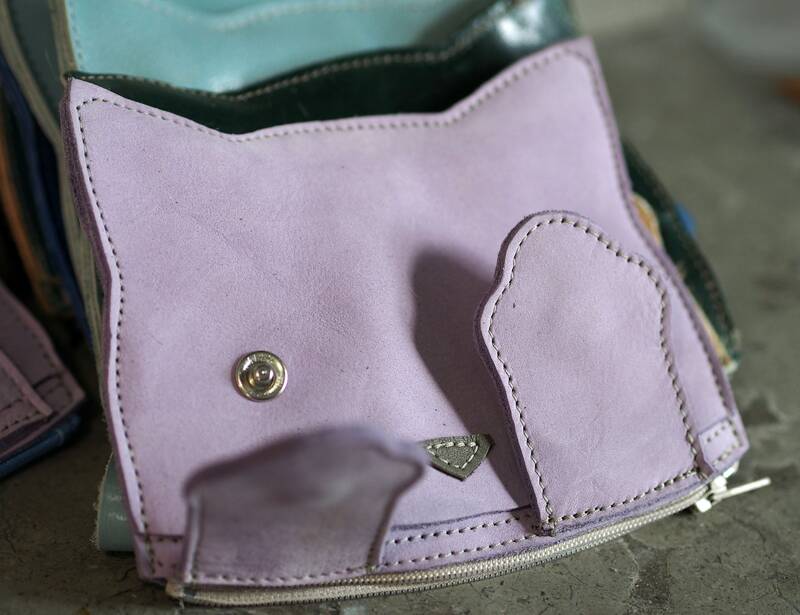 The zippers are 5" across, and the head is 5 1/2" across and 4 1/2" from zipper to ear tips. And unfilled the three leather layers are about 1/4" thick. 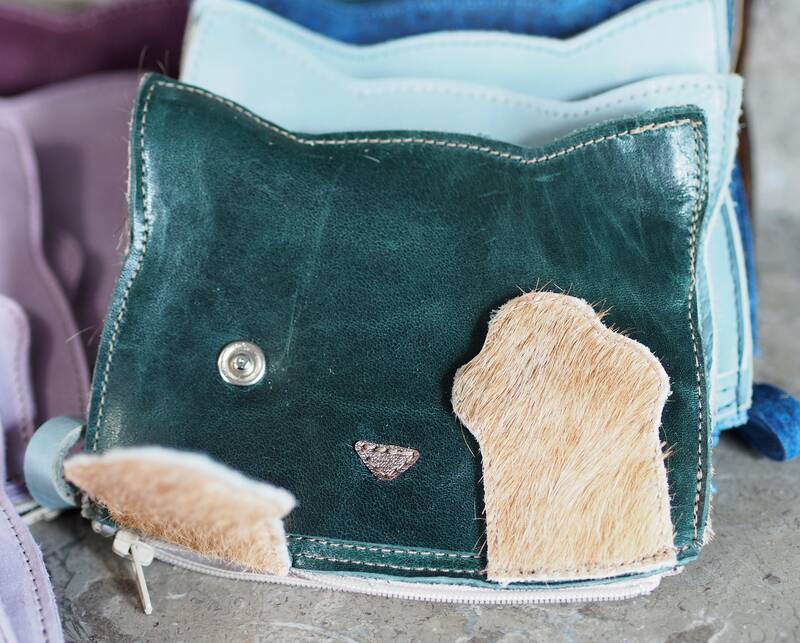 These are made by sewing fitting the snap posts & sewing nose to the face, fitting the snap socket to the underside of the paw, then glueing on the top side, and edge stitching the paws, which are then sewn to the center section after the zipper is sewn to the back and center pieces. Then the face is placed over those and lined up to stitch through all three layers around the head, in some capturing in a finger loop. etc... Mix front & back & paws... Just ask! I also have many hair-on-hides that are natural black & white spotted, brindle, some "blonde", as well as dyed olive, and patterns... And leathers used may be cowhide, lambskin, sheepskin, kidskin or goatskin... (I will detail out which I use on your kitty). And I can make them all one color, or mixed! The snaps will be gold, unless nickel looks better with the leather choosen, and I will choose the zipper based on what looks best with the leathers. I sold out of these at my last show, but wanted to keep this listing available, but instead of stock, have based on custom/made to order availability. 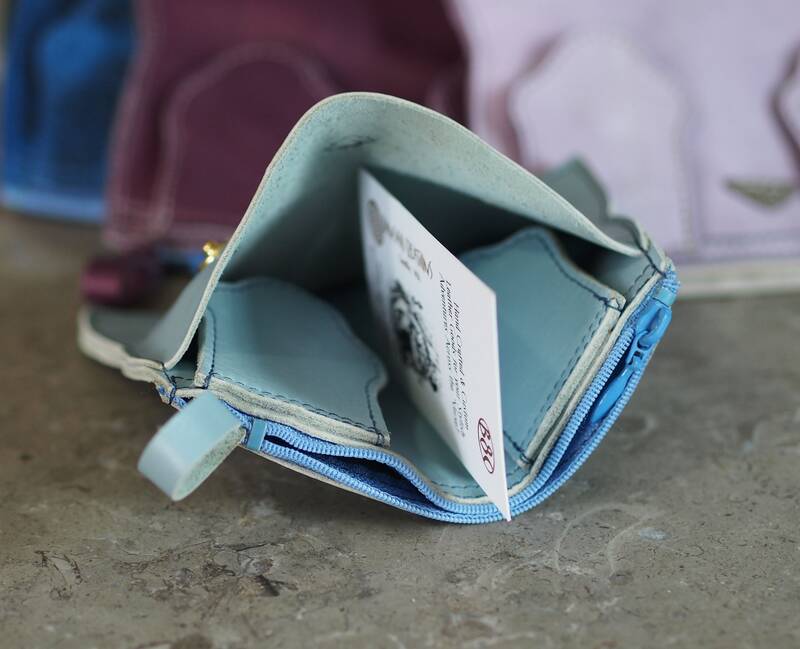 Just either list the colors in the notes to seller on the order, or convo me what color(s) you want before placing an order, and I can send you pic to confirm it's OK before making and/or shipping!